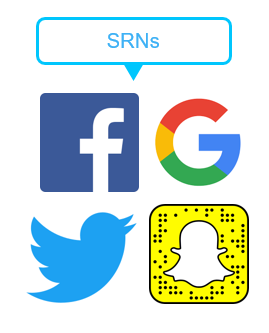 Self-reporting networks (SRNs), also known as self-attributing networks, such as Facebook, Google Ads or Twitter do not use tracking links of external companies. Instead, each network has its own methods and APIs that AppsFlyer uses to communicate new installs, in-app events etc. You can be exposed to or interact with multiple ads before installing an app. In general, an attribution provider provides you with both last-touch attribution, attributing the install to the last click before the install, as well as multi-touch insights. Upon the first app launch, AppsFlyer checks whether the app is configured to receive traffic from SRNs. AppsFlyer queries all SRNs configured for the app, using the unique device ID of the new install. This is performed via dedicated MMP (Mobile Measurement Partner) APIs, which SRNs enable AppsFlyer to use. Based on the returned answers, AppsFlyer can attribute new users to SRNs. Network A reports a click from a user on Monday, Network B reports a video engagement on Tuesday, and then Network C reports an additional click on a playable ad on Wednesday – resulting in an install about thirty minutes later. In this case, AppsFlyer attributes the install to Network C, and gives credit to the previous networks as having assisted the install. We even provide the option to access to all available touchpoints prior to install data so that marketers can further customize their own multi-touch or fractional attribution models. Click here for a short explanation. Some of the largest networks use a different methodology. Rather than reporting each click to attribution and measurement partners, they create an open data sync with specific attribution and measurement providers. Whenever the attribution provider sees an install, it uses a proprietary API to sync the DeviceID with the network. The network then reports the details of any relevant ad clicks or impressions. At AppsFlyer, we then sequence all relevant impression and click data, using our standard attribution logic to attribute the install based on both last touch and multi-touch methodologies. Continuing the example above, if Network D, an SRN, reports a click a few minutes before Network C, which uses a standard attribution integration. In this case, Network C is attributed as the primary driver of the install, because Network C drove the last click. However, if Network D drove the last click, Network D is credited with the install. Some SRNs may charge advertisers for an install (CPI) or subsequent action (CPA) based on a click or impression occurring 14 to 28 days ago. AppsFlyer attributes the install, activity, eCPI and eCPA based on the advertiser’s preferred attribution methodology and lookback windows. The marketer may still have to pay for installs based on the SRNs attribution lookback window and view-through models. Marketers look to AppsFlyer’s third-party universal attribution methodology to optimize and allocate their spend since we report the actual eCPI and eCPA based on the marketer-defined terms. Therefore, SRNs may benefit in the short term, as they often define their own payment terms. However, marketers fix this by using third-party attribution providers. Why is the Original URL Column Empty in Raw Data Reports? Since the click is not performed with an AppsFlyer tracking link and registered on the network side, click data from the SRNs cannot be accessed by AppsFlyer. Why Can't I see Clicks and Impressions for SRNs in the Dashboard? For Facebook and Google, AppsFlyer has an API integration with these networks and is able to receive the aggregated information and display it in our dashboards. For Facebook details, click here. For Google Ads details, click here. How Do I Set Up a Campaign with an Agency and an SRN? 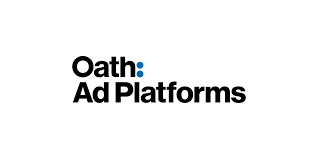 Instructions on how agencies can set up and run campaigns with each of the self-reporting ad networks can by found by clicking here.